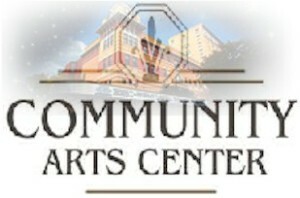 The Community Arts Center is referred to as the “Jewel of Downtown Williamsport”. Carefully restored to its 1928 magnificence this 2,000-seat theatre has hosted such notable acts as Bill Cosby, David Copperfield, Anne Murray, Barry Manilow and Willie Nelson. On any given night at the Arts Center you will find a Broadway musical, concert, musical review, or film. The theatre is also home to local artists such as the Williamsport Symphony Orchestra and the Repasz Band. With over 2,100 seats, a state of the art sound system, and complete amenities, the Community Arts Center is one of the top venues on the Eastern Seaboard. Even the most legendary of performers never fail to be awed when they step onto the stage of the Community Arts Center… and the artist’s enchantment with the resplendent surroundings of the venue often results in a dynamic performance.